Kookaburra Wicket Keeping products have been used by the legends of the game for over 40 years with the endorsement of Rod Marsh, Ian Healy, Ray Jennings, Alec Stewart & Adam Gilchrist highlighting the heritage that the Brand possesses in technical design. In the modern game Brad Haddin, Jos Buttler and BJ Watling trust Kookaburra to keep them at the top of their game meaning that no Brand has ever taken more victims than Kookaburra. 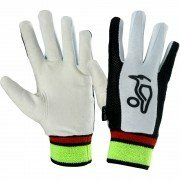 The fact is that no brand knows more about what is required to make a great wicket keeping product than Kookaburra. 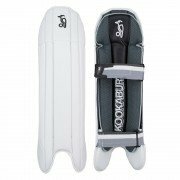 It is the work of the Kookaburra R&D team, in conjunction with ‘Team Kookaburra’, which continue to produce unique design features throughout the range giving club players the features and benefits that previously were reserved only for professionals. Featuring the unique Kookaburra ‘K Flex Support’ patch. With keepers regularly taking balls at speeds of up to 100mph, it is vital that gloves provide the back of the hand with the support required, allowing them to withstand this pounding without injury. Over the years, as gloves have become ever more flexible, this has been a neglected area until now! 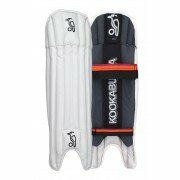 The Kookaburra ‘K Flex Support’ patch gives the back of the glove extra strength where it is needed most without compromising flexibility. It will make sure that, whatever the speed, injuries caused by the flexing of the back of the hand during impact will become a thing of the past. Australian ‘Shorti’ style with round shaped cuff - The choice of Brad Haddin and A.B de Villiers. Traditional ‘long cut’ style with square shaped cuff - The choice of England’s Jos Buttler.